Virtual construction and technology BIM One Inc.
BIM Track™ is a web-based collaboration platform that empowers your team with better coordination workflows. 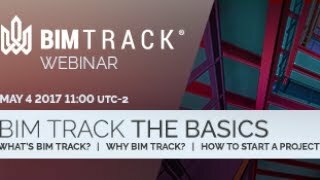 BIM Track™ provides a central hub for all coordination information from design to construction. With information at your fingertips, you can get access to your data anytime, anywhere, either from a desktop or mobile device. Charts and graphics help understand data and your management performance through precise metrics. We promote Open BIM workflow solutions by supporting IFC (Industry Foundation Classes) and BCF (BIM Collaboration Format). it's release time again! BIM Track’s View in model feature might seem like a simple one, but it’s one that will save you an average of 2 minutes per issue opened. We know your workflow efficiency depends on it, so the main focus of this release is to give you more, cross-platform, view in model options to retrieve issue location. In this release, you gain more control over the view camera and view state and can modify its’ behavior in Revit, Navisworks, Tekla, AutoCAD and the web viewer. With advanced sheet viewing options, you have more tools at your fingertips to tailor your viewing preferences; for example, being able to filter issues on a sheet so that only issues on that particular sheet are displayed, and many more adjustments. Very easy to use App that integrates well into many workflows. This is an amazing app for sharing information with everybody from the offices and on the construction site. I think this is best free app for BIM collaborate.